Web developers and designers are too busy coding so it is perfectly understandable that they don't have enough time to think about the SEO side of things. If you are managing a team of SEO specialists, web developers and designers, this list will definitely save you and your team a lot of time. To avoid duplicate content, it’s really important for us to set our developer sites to noindex and nofollow. You can do this by checking the box under the Search Engine Visibility (Settings > Reading). Check if the site is already indexed by Google using the search operator site:URL. 1. 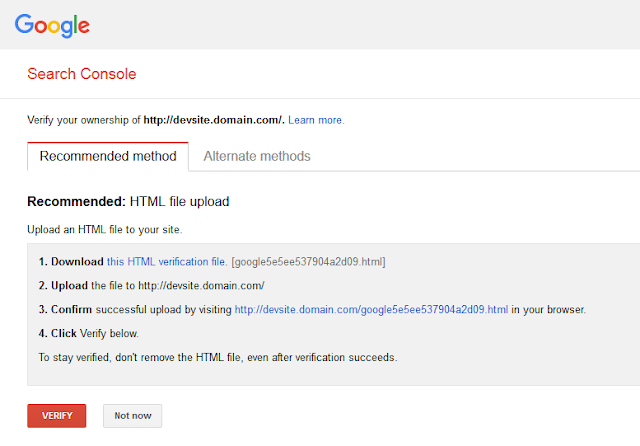 Go to https://www.google.com/webmasters/ and log in using your Gmail. Enter the URL of the developer site in the field provided on the page and then click on the Add Property button. 2. Verify the ownership by uploading an HTML file to the site. Simply follow the step-by-step guide. 3. 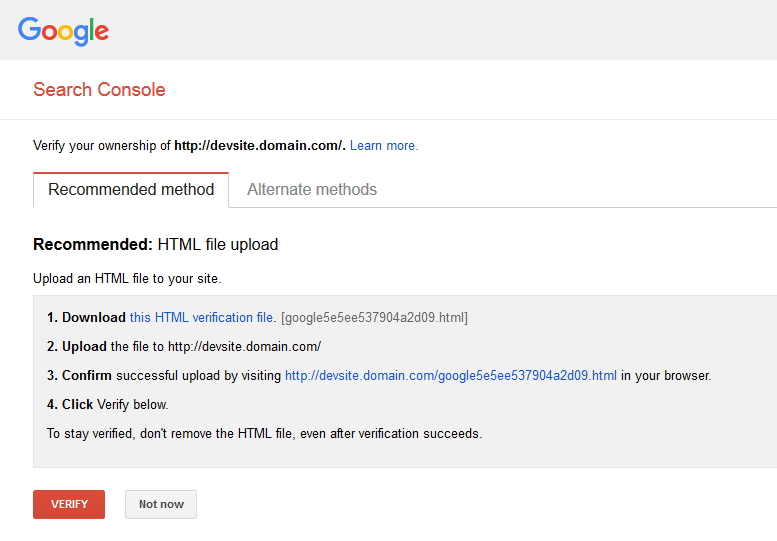 Once verified, go to Remove URLs under Google Index, click on the Temporarily hide button and then the Continue button. 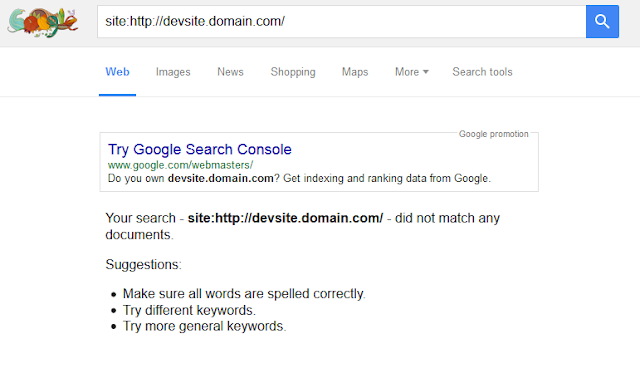 The removed site should not be showing up on Google search results after a day or two. Always auto-redirect to the preferred version to avoid duplicate content. 2 pages with same content but using the different versions of permalinks (the one with trailing slash and the other without the trailing slash) are considered as duplicate content by Google. And when coding or creating menus for navigation, make it a habit to always use the preferred version of URLs. Always open external links in a new tab. If the site is using a secure connection (HTTPS), make sure that the browser is showing a green lock icon. Use only 1 <H1> heading per page. You won't have a problem with this if you are using WordPress as your CMS. To check the HEADINGS of each page in a website, you can use SEOQuake (extension/plugin for Chrome and Firefox). 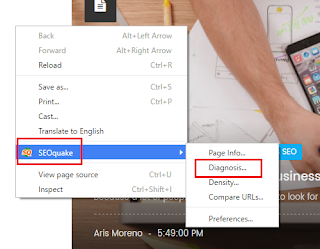 Load the page that you want to assess and then right click on the page that you want to diagnose, then choose 'Diagnosis' under 'SEOQuake'. Don't forget to include relevant keywords or key phrases in the heading tags. They should reflect the services or products your are offering and your location, especially if you want to increase your site's ranking in local search. Always add accurate and descriptive ALT text and title to your images so that it's easier for search engines to index them. And before you upload an image, give it an accurate and descriptive file name. And it’s also a good practice to optimize all the images to reduce the load times of pages. Avoid the use of frames because search engines are having a hard time indexing the pages with frames. Build a website that is standards compliant so it is accessible across different devices. Website speed is considered by Google as one of its ranking factors. Use Google PageSpeed Insights or other tools to check for errors and get recommendations on how to fix them. Always set these pages to noindex and nofollow. If you are using Wordpress, you can do this by using Yoast SEO plugin. If you spot a private page or a thank you page indexed by Google, just follow the steps in number 1 to remove it from search results. Make sure that all of the significant pages, have good amount of content - text, images, videos. Google hates thin content with little or no added value. Long paragraphs should be broken up with sub-headers and bullet points. If you want others to share your content, add social media sharing buttons to each page in your website. Visit some of the important pages to check if they are displaying correctly on mobile and to make sure that there's no missing content in your website. If you own a local business, adding the NAP info marked up with schema to every page of your site is highly recommended. Go to this PAGE if you want to learn how to optimize your website for local search. You should integrate your blog into your main website. 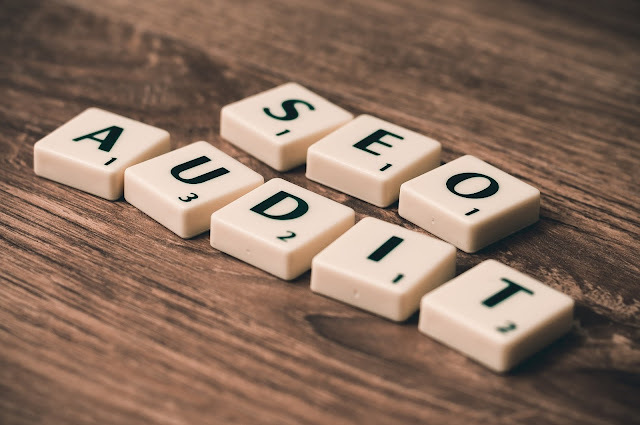 If you do this, your blog posts will automatically inheret the SEO power of the parent website so you can rank immediately for keywords and key phrases within the posts. And any links earned by the content on your blog can have a positive impact on the other content on the main website. You don't want your visitors to immediately leave your website because of annoying popups or auto-playing music. Remember that user experience plays an important role in Google algorithm now. If you have forms in your website, make sure that each of them is working and configured with a custom thank you page. You may also want to track the site's conversion rate by setting up Goals in Google Analytics. Check the setup of your tracking codes such as Google Analytics and Bing Webmaster Tools. 19. Go through the checklist again to make sure that all items are implemented, but don’t allow search engines to index it yet. The metadata (meta title and descriptions) of all the pages needs to be optimized first before you allow search engines to index the site. Learn how to create a Wordpress-powered website HERE.